Emyr Thomas, founder of London-based concierge service Bon Vivant offers his recommendations of 5 new London restaurants to visit on your next trip to the UK. Focusing on the cuisine of the Northern Chinese provinces of Peking, Shandong and Sichuan, Hutong is traditional in style with dark woods, intricately carved furniture, and low lighting from red lanterns, creating an intimate atmosphere, despite the size of the overall space and the mesmerising views of London from 33 floors up in The Shard. 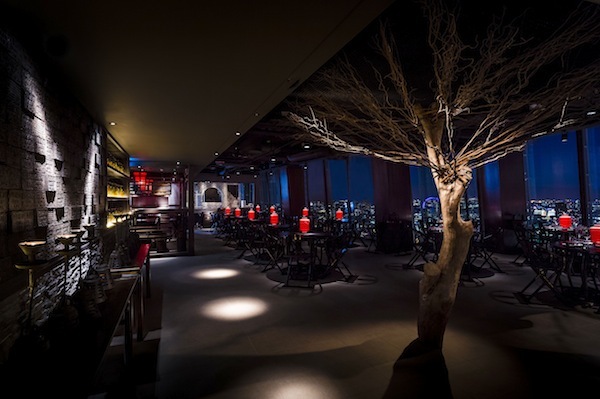 Hutong shares the space with sister restaurant, Aqua Shard – head down 2 floors to the 31st floor after dinner for drinks – the bar at Aqua Shard is truly enchanting late at night. Inspired by the Colonial Indian gymkhana clubs, this new Indian restaurant has received almost universal critical acclaim since opening a month ago. The large menu, which is designed for sharing, has its dishes labelled under Kebabs and Tikkas, Game and Chops, Curry and Biryani and Sabzi – there are many highlights! The colonial style interiors feature dark wood, marble, ceiling fans and black and white photographs, creating an intimate, stylish atmosphere, which is enhanced by the low lighting. 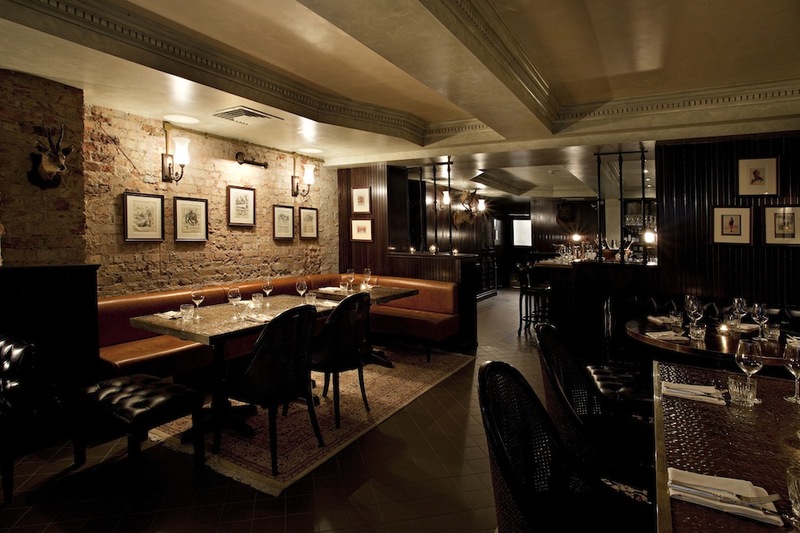 Tartufo sits on the lower ground floor of the Number 11 Cadogan Gardens Hotel in Chelsea. The restaurant offers fine dining at excellent value, with set menus at £25 for 2 courses, £30 for three courses or £40 for four courses. This level of cooking at this price level in Chelsea is a real find. 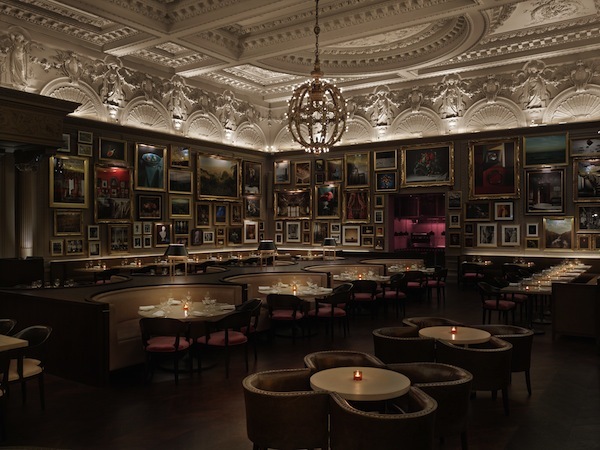 The latest restaurant from Jason Atherton in the new London Edition hotel from hotelier Ian Schrager, Berners Tavern offer all day dining in one of the most beautiful dining rooms of recent years. The head chef is Phil Carmichael, formerly head chef of Michelin starred Pollen Street Social (also a Jason Atherton restaurant). Make an evening of it at the London Edition by booking a table at the Punch Room, the hotel’s reservations-only bar. 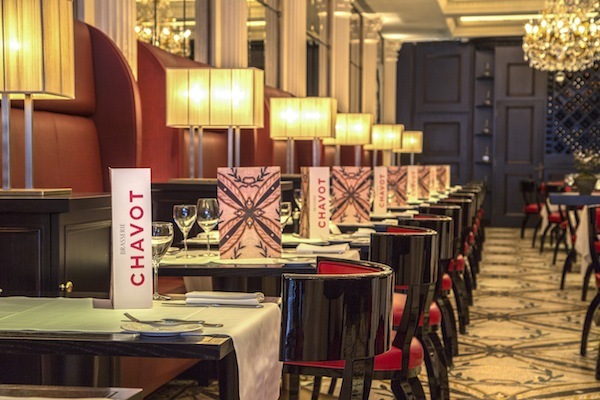 Eric Chavot, who previously held 2 Michelin Stars at The Capital Hotel in Knightsbridge, launched Brasserie Chavot on Conduit Street in Mayfair in early March 2013. 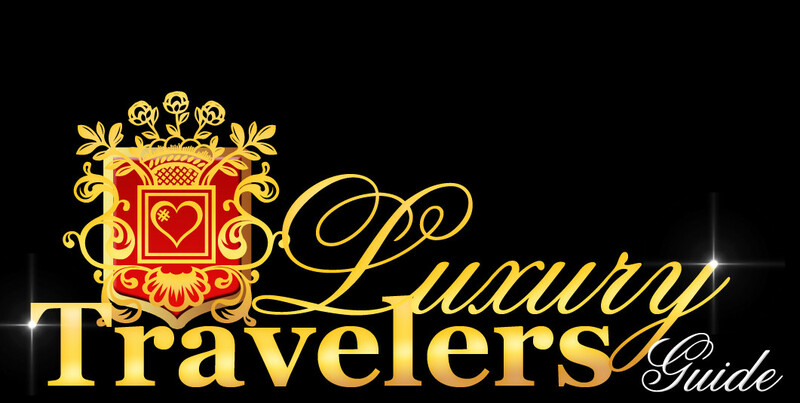 The dining room is stylish and glamorous with opulent chandeliers and beautiful tiled flooring. The menu offers French brasserie classics with a refined twist. Brasserie Chavot gained a Michelin star in this year’s guide after being open for only 6 months.